French press coffee maker that makes 5 cups of coffee or tea. 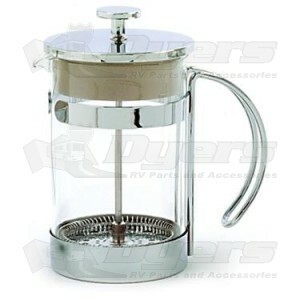 Norpro coffee maker press that can be used for either coffee or tea while on the road. It has a removable and reusable metal filter for easy cleaning and convenience. Great for multiple servings for coffee and tea lovers!